This is confusing, therefore first call the GS1 USA office at +1-937-435-3870. 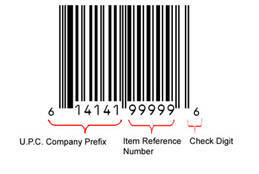 If you wish to sell your own product on Amazon.com, then you need a UPC: Uniform Product Code, or commonly called a barcode. To sell another companies product, you can use their barcode. 158 per year after that. Warning: This is highly confusing, and many Internet sites are trying to scam, overcharge, or confuse you, my recommendation is to start by first talking with the organization in the USA that is in charge. Global: gs1.org, there is a pulldown for each country. How to allow a worker or agency to access to google com adwords account?